Don’t dump rubbish in the river. The water in Tokyo Bay is getting cleaner these days. The beach was fouled by a lot of crude oil. The benzene released into the river will contaminate the food chain and damage the region’s ecosystem. The river was contaminated with cholera germs. The river was heavily contaminated. The water was tainted with industrial waste. This lake used to be quite polluted, but it’s getting cleaner year by year. 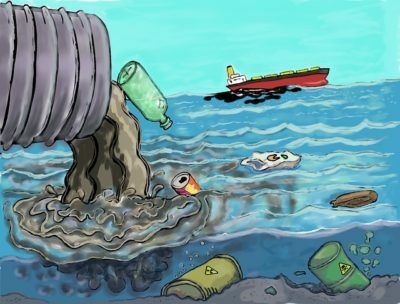 Water pollution is death to fishermen.